The Anne Frank Center USA, New York. Opening Reception Wednesday December 3, 6-8 pm. Hours: December 3, 2014 - February 27, 2015, Tue-Sat 10-5. Words have always been a catalyst for destruction, but today hate speech is increasingly prevalent – tearing apart the fabric of our communities in ever more violent and destructive ways. Around the world, religious hostilities are at a six year high. While in America alone, the number of hate groups has increased by 56 percent since 2000. Lashon hara, meaning “evil speech” in Hebrew, directly confronts this impulse to speak negatively of others, to destroy them with words. Intolerance, anti-Semitism, racism and discrimination are all products of this action – and for this reason lashon hara is considered a very grave sin in Jewish tradition. In Lashon Hara: On the Consequences of Hate Speech, a collection of 20 mixed media works, textile artist Robin Atlas explores the concept of evil speech, its effect on both the physical universe and spiritual realm, and the need for people to atone for their own verbal violence. Although the artist has used the vehicle of the Torah to convey her introspections, lashon hara is not confined to the Jewish community. There are examples of “evil speech” everywhere, in our personal and work lives, in the public sphere. In this respect, the show is both timely and timeless, resonating with everyone of every nation or culture, and age. Inspired by an incident in her personal life the artist started to research the subject and it occurred to her that the underpinnings of hatred, intolerance, racism, anti-semitism and darkness stem from Lashon Hara (evil tongue). So simple. Our words. What we say to and about one another. It was an imperative to have the discussion. As a result she created a small narrative of seven pieces, reflections of her own experience with Lashon Hara. In addition she engaged with the subject in a more universal or communal way, resulting in 13 more works. The exhibit, which is sponsored by the Jewish Art Salon, will be accompanied by a series of workshops, discussions and artist lectures on relevant themes. Robin Atlas is a visual artist, print maker, fine arts consultant and curator, whose work has appeared throughout the United States. 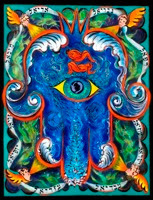 She creates contemporary visual midrash - the artistic expression of sacred Jewish texts and Halachic laws -- adding her own creative voice and vision to the ever evolving anthology of commentary. Her Lashon Hara narrative features twenty individual deconstructed pieces of diverse elements coalesced on hand-dyed collaged fabric, using hand embroidery, free-hand machine stitching, printmaking and other creative techniques. Robin works out of 49th Street Studios, a collective of five women artists in the Ballard neighborhood of Seattle, Washington, and is a member of the Jewish Art Salon, the American Guild of Judaic Artists, and ORA Northwest. The Anne Frank Center USA, a partner organization of the Anne Frank House, uses the diary and spirit of Anne Frank as unique tools to advance her legacy, to educate young people and communities in the U.S. and Canada about the dangers of intolerance, antisemitism, racism and discrimination, and to inspire the next generation to build a world based on equal rights and mutual respect. Art Exhibit curated by Joel Silverstein and Richard McBee. (between Steuben & Emerson, across from the Pratt Store). This exhibition explores the theme of the superhero in large colorful figurative paintings observed from life. It poses authentic questions about the self; the act of living a heroic life in the modern world. The artist and his family pose in costume with props, creating densely layered portraits and genre scenes. Figurative Expressionism and Magic Realism are used to create a visual narrative inspired from the ranks of “heroic“ figure painting and high culture. The artist then looks beyond the “Fine Art” tradition and draws upon his childhood love of comics. 44 Park Place, New York, NY. Workshops, screening & lectures by Tobi Kahn, Siona Benjamin, Saul Sudin, Julian Voloj and Joel Silverstein. These events, organized by the Jewish Art Salon, will be hosted in New York in partnership with Ycrop and RJeneration. These programs are sponsored by Center Without Walls, a project of COJECO, funded by the UJA-Federation of NY and Genesis Philanthropy Group. A discussion with artist Mark Podwal and author Thane Rosenbaum Tuesday, February 4 at 6:30 p.m.
Mezuzot have been around for centuries. There is evidence that the tradition was practiced in Jerusalem during the Second Temple period, before the year 70 CE. Over the centuries, artists around the world have crafted decorative mezuzah cases from a wide range of materials. Participants will create their own. Thursday January 30, 6 - 8 PM. Ycrop and Jewish Art Salon invite you to a screening of the acclaimed documentary Punk Jews. Meet producers Saul Sudin and Evan Kleinman. Profiling Hassidic punk rockers, Yiddish street performers, African-American Jewish activists and more, Punk Jews explores an emerging movement of provocateurs and committed Jews who are asking, each in his or her own way, what it means to be Jewish in the 21st century. Jewish artists, activists and musicians from diverse backgrounds and communities are defying norms and expressing their Jewish identities in unconventional ways. NY Times review here. 7-8 PM Artists Presentations, by Marisa Scheinfeld and Linda Soberman. Introductions by Cynthia Beth Rubin. 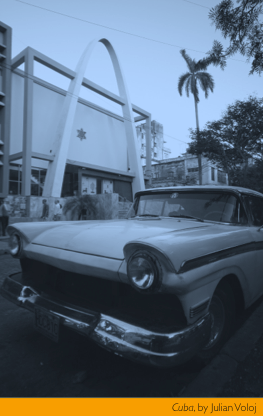 Jewish Heritage and Contemporary Art. Panelists: Alison Kruvant, Isaac Peterson and Judith Joseph, artists. Moderator: Buzz Slutzky, artist & program assistant at the Tisch Gallery at the JCC Manhattan. Exhibit on view April 16 - June 11, 2013. Monday - Thursday 9 - 5, Friday 9 - 2. 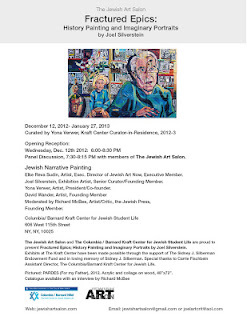 Presented by the Columbia / Barnard Kraft Center for Jewish Student Life, and the Jewish Art Salon. 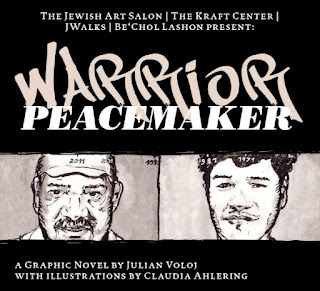 7 PM Discussion with Benjamin Melendez & Julian Voloj, moderated by Lacey Schwartz, NY Director of Be'chol Lashon. Music by the Ghetto Brothers. Exhibit on view March 5 - March 20, 2013. Sunday - Thursday 9 - 9, Friday 9 - 1. Presented by: the Jewish Art Salon, Jwalks, Be'chol Lashon, and the Columbia / Barnard Kraft Center for Jewish Student Life. This exhibit presents new works focused on explorations of the world of ocean plankton, framed by a mini-retrospective dating back to 1984 and the early days of digital art, thereby contextualizing the career of this new media artist whose imagery developed in tandem with the technology of our time. Curated by Yona Verwer of the Jewish Art Salon, Rubin’s work brings a different perspective to the age-old question: What is Jewish Art? In 1983, inspired by research into non-Western art by artists ranging from Claude Monet to Mimi Schapiro, Rubin made a conscious decision to seek out traditional Jewish art as influence. 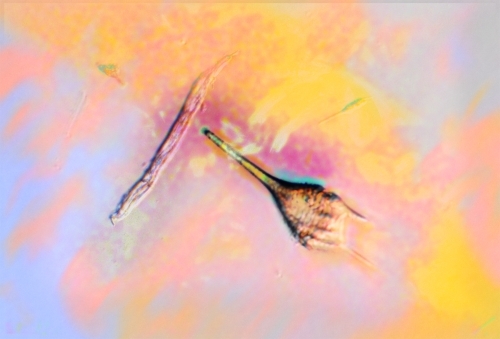 Preceded by a 6:00 PM Reception for Into the Void, art exhibition by Cynthia Beth Rubin. 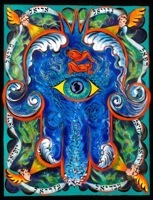 In explorations of imagery drawn from influences as diverse as Kabbalah, Memory, and Mystical Science, artists who did once pure abstractions take the lessons of the interaction of color and form to create representational infused with layers of meaning and message. Moderator Debra Zarlin Edelman, Chair of the Arts Advisory Board at the Jewish Theological Seminary, Jewish Museum Exhibition Committee Board. Helene Aylon, Artist, Jewish Art Salon Member. Elisa Decker, Artist, Jewish Art Salon Member, Reviewer for Art in America. Bruria Finkel, Artist, Jewish Artists Initiative Member, Women's Caucus for Art. Cynthia Beth Rubin, Artist, Jewish Art Salon Advisory Board Member. Additional screenings by Gilah Yelin Hirsch, Bruce Oren, Adele Shtern, Alan Falk, Sarah Lightman, Ellen Holtzblatt and Robin Atlas. December 12, 2012- January 27, 2013. Exhibit curated by Yona Verwer. The Exhibition Fractured Epics proposes a world of botched promise but ultimate redemption, as the artist recalls his life growing up in Brooklyn, NY near Coney Island. In over 30 narrative works, Silverstein addresses central themes of autobiography, memory, visual ephemera and the Book of Exodus as related in the Hebrew Bible. Collage and acrylics are mixed with great skill in works ranging from one to fourteen feet in length. Employing a figurative expressionist and Magic Realist vocabulary, the artist invokes the concept of “History Painting,” the one time summit of French Academic painting as well as the mid- Twentieth Century Hollywood movie Epic. He accomplishes this relying on compositions assembled from nature, snapshots, old National Geographic photos, action figures, comics and collage. Here, myth and the imagination merge in creating unsettling images of loss and transformation. 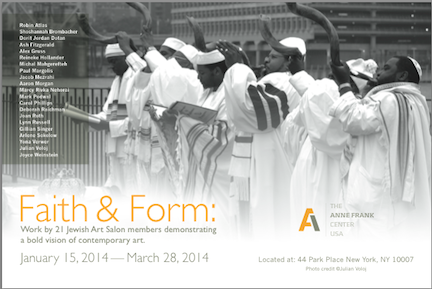 Presented by Oholiav & the Jewish Art SalonSeries based on the Talmud page design and on black and white markings. Alt's works embody the belief that only through seeing and feeling the structures that affect our lives can we engage in the ongoing process of building a relationship to them. CONTEXT - Collaborative exhibit between the Jewish Art Salon and Oholiav.The exhibit utilizes text as a springboard for imagery and interpretation. Opening October 11, 2012 - An evening of mixed media--visual arts & music. Jewish Art Salon and Oholiav artists. An Ancient Site Revisited Through 21st Century Eyes. UJA Federation, New York, NY. Dura Europos, a Greco-Roman synagogue from the mid-third century CE is currently in modern Syria. When the synagogue was discovered, this building was found to hold the finest collection of biblical murals ever executed in the ancient world. For the Dura Europos Project each artist executed a panel with a contemporary interpretation of Dura. When assembled, these paintings comprise a new environment of religious and cultural ideas within the Jewish community. We look back to Dura to see images of ourselves. Curated by Joel Silverstein and Richard McBee. Silent Witnesses: Synagogues transformed, rebuilt, or left behind. 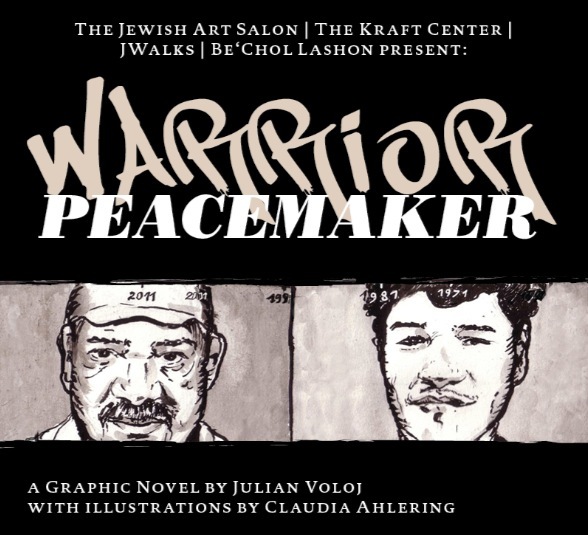 “Silent Witnesses” is a collaboration of the Cultural Heritage Artists Project, the Jewish Art Salon, JWalks, and the Holocaust Memorial Center. All of the works in this exhibit are being shown for the first time. 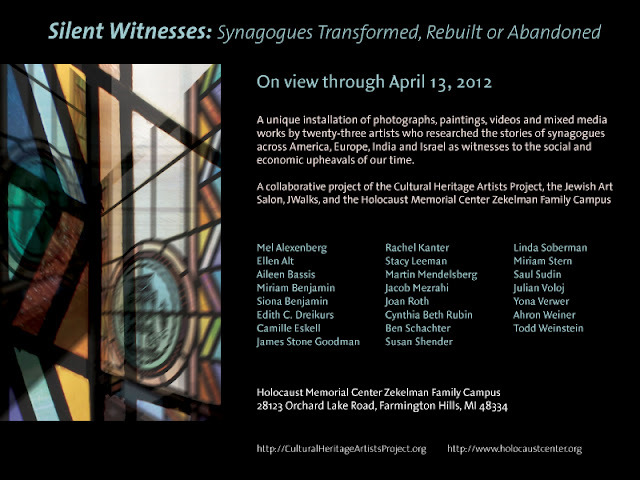 On February 26th, 2012, the innovative new exhibition Silent Witnesses: Synagogues Transformed, Rebuilt or Abandoned opens at the Holocaust Memorial Center in Farmington Hills, Michigan. The 23 participating artists explore the intersection of community migration and Jewish heritage by researching abandoned synagogues throughout the United States, Europe, India and Israel, and creating paintings, photographs, installations and videos woven from the stories of the historic spaces. With this exhibition, the Cultural Heritage Artists Project continues its pioneering work in developing an innovative model of artist initiated and organized exhibitions, based on the belief that by working together around a shared theme artists can create new works with meaning, while engaging in an artistic dialogue that encourages new aesthetic explorations. Participating artists: Mel Alexenberg, Ellen Alt, Aileen Bassis, Miriam Benjamin, Siona Benjamin, Edith C. Dreikurs, Camille Eskel, James Stone Goodman, Rachel Kanter, Stacy Leeman, Martin Mendelsberg, Jacob Mezrahi, Joan Roth, Cynthia Beth Rubin, Ben Schachter, Susan Shender, Linda Soberman, Miriam Stern, Saul Sudin, Julian Voloj, Yona Verwer, Ahron Weiner and Todd Weinstein. Catalog essays by Samuel D. Gruber, Ruth Ellen Gruber, Stephen M. Goldman, Deborah Kovsky-Apap, and Aaron Rosen. Jewish High School Students explore the Sh'ma. 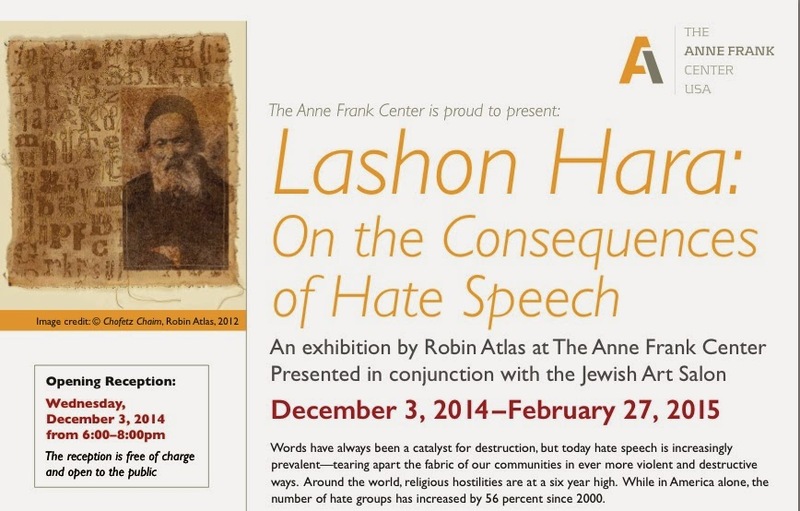 Virtual exhibit in conjunction with the Aleph Institute's Global Day of Jewish Learning. 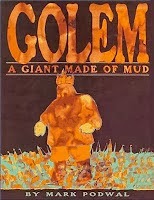 Co-sponsored by Jewish Art Now and RAVSAK. November 8, 2011 till November 8, 2012. Jewish artists explore the visual texture of their communities. 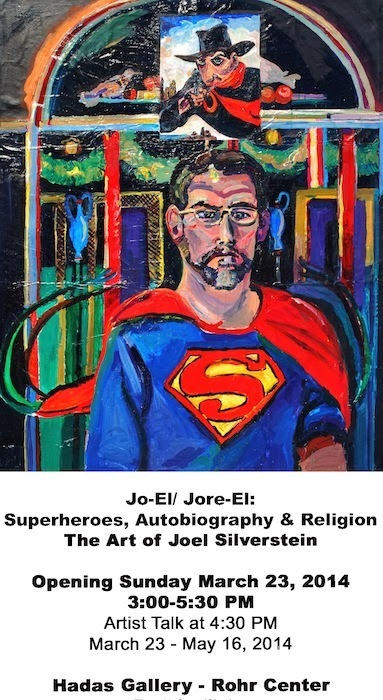 Virtual exhibit in conjunction with the Aleph Institute's Global Day of Jewish Learning. Co-sponsored by Jewish Art Now. November 8, 2011 till November 8, 2012. Pop-up Art Exhibit at Limmud NY 2012. After Art Kibbutz's Drink 'N' Draw event with Frank London and Greg Wall and Hasidic New Wave, Yona Verwer curated a show from the best results. January 15 & 16, 2012. Community Synagogue, New York, NY. January 2011. Flomenhaft Gallery, New York, NY. December 2010. Philadelphia museum of Jewish Art, Philadelphia, PA. Dec '10 - March 2011. Charter Oaks Cultural Center, Hartford, CT. Sept - Nov 2010. Stanton Street Shul, New York, NY. April 2009.